This story originally approved on Oct. 5, 2014. On Nov. 6, 1971, the United States conducted its most powerful underground nuclear test to date. The massive, five-megaton blast detonated more than a mile below remote, windswept Amchitka Island in Alaska. The Cannikin shot tested a huge warhead the Pentagon planned to fit to a controversial anti-ballistic missile system. Its novel design drew from an equally controversial civilian nuclear explosive program. And America’s most controversial president demanded the test take place. And the tech in question inspired a later president to propose another controversial ABM system. Amchitka is the southernmost link of the Aleutian Island chain that swings across the Bering Sea from North America almost to the Russian coast. The island lost its native Aleut population in the 19th century. After World War II, the Pentagon abandoned the airfield and base it hastily built there to repulse the Japanese invasion of the Aleutians. In the 1950s, the Atomic Energy Commission investigated Amchitka as a potential nuclear test site but found it wanting. Later developments renewed government interest in the remote uninhabited island. After a successful 1965 underground test there, the Pentagon prepared to hammer the island with a really big blast. By the late 1960s, both the United States and USSR pushed hard to develop defenses against each others’ huge arsenals of ICBMs. At the time, the only workable solution was squadrons of nuclear-tipped anti-missile missiles guided by gigantic high-powered radars. The American system relied on two different missiles—the very powerful Spartan space interceptor and the very fast Sprint high-altitude rocket. The Spartan would soar high into space and detonate its special five-megaton warhead within range of incoming Soviet ICBMs. The Sprint would rip into the high stratosphere at Mach 10 to destroy any surviving warheads with its one-megaton blast. 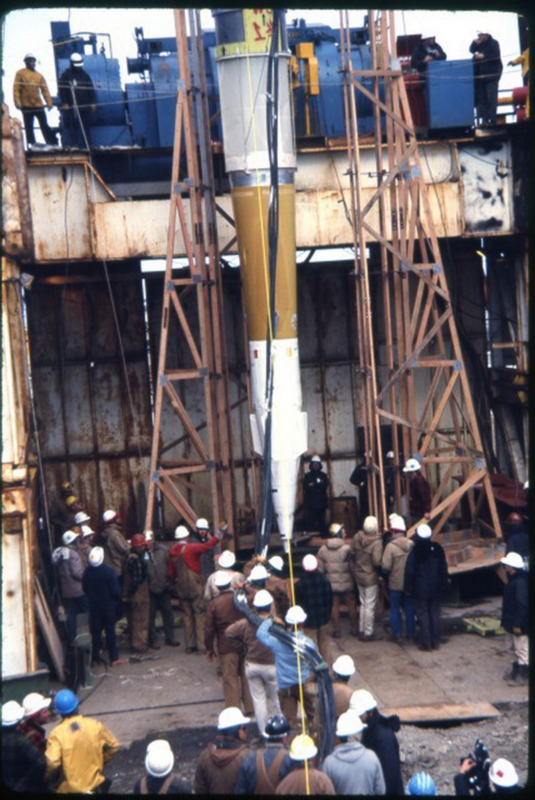 The Spartan’s W-71 warhead was very “clean”—it produced little debris and killed its target with a massive flood of X-rays. Essentially a multi-megaton “neutron bomb”—though it gave off relatively few neutrons—the W-71 minimized fallout effects that could blind American space-tracking radars during Armageddon. Its design principles originated in a noble effort to tame the atom for peaceful uses. Project Plowshare looked into various ways nuclear explosions might serve civilian purposes. Concepts the U.S. government seriously considered included blasting out a deep-water harbor in Alaska, blowing up a mountain in southern California for a railroad cut and digging a new canal across Central America. Civil engineering projects couldn’t proceed if radiation lingered, so weapons designers designed “clean” bombs that produced little fallout. Nevertheless, Project Plowshare’s lofty goals ran aground on public opposition to nuclear explosions and their effects. Natural gas resulting from nuclear fracking tests proved too radioactive to sell commercially, and nobody needed to dig road cuts and harbors so fast and furiously. Public attitudes opposing war and supporting the environment hardened as the 1960s drew to a close. The administration of Pres. Richard Nixon responded by both fighting and embracing these shifting attitudes. Even as he resisted the antiwar movement and domestic dissent, Nixon signed new environmental legislation into law. The two trends collided at Amchitka. Amchitka is one of the most tectonically unstable places in America. Scientists worried the island might not handle the huge underground nuke shot. A preliminary test in late 1969 code-named Milrow exploded a one-megaton device at the bottom of a 4,000-foot shaft engineers had drilled into Amchitka’s tundra. A few days after the Milrow shot, anti-war and environmental activists formed a committee in Vancouver to oppose the Aleutian nuclear tests. They feared the explosions could trigger tsunamis, earthquakes and environmental contamination. This meeting led to the establishment of Greenpeace, whose first major action was to protest the Cannikin nuclear test. Cannikin’s preparations matched its superlative technical era. While astronauts walked on the moon during 1970 and 1971, engineers using an alignment laser for the first time bored a seven-foot-wide, 6,000-foot deep hole into Amchitka’s rock. They then lowered a full-size mockup of a Spartan missile with its five-megaton warhead into the huge chamber at the bottom of the shaft. Behind it came a 264-foot-long instrumentation package hooked up to a fleet of truck trailers. The trailers, parked half a mile away from the hole, contained the test electronics including the first field-recording computer. Meanwhile Nixon faced opposition to the forthcoming test from other quarters. The new Environmental Protection Agency required an environmental impact assessment of the test’s effects. Experts also voiced concerns that a major nuke test so near the Soviet Union might jeopardize arms control negotiations. A lawsuit opposing the test went all the way to the Supreme Court. Nixon worried that his efforts to get out of Vietnam and come to terms with the Soviets and Chinese might leave him vulnerable to attacks from conservatives within his own party. He told Gov. Ronald Reagan that he would issue an executive order on the Cannikin test if the Supreme Court sided with the test’s opponents. Winds topped 124 miles per hour on Amchitka the day before the test. The proto-Greenpeace activists had to abandon their seaborne voyage of protest. On Nov. 6, 1971—just hours before a four-to-three Supreme Court ruling approving the test, the president personally ordered the Cannikin shot. Cannikin generated a seismic shock measuring 7.0 on the Richter scale. Ponds, lakes and dirt soared into the air as 15-foot ground waves rippled through Amchitka’s rock. The instrumentation trailers bounced around like kid’s toys on a shaken carpet. Cliffsides fell into the sea and the ocean boiled like foam. Thousands of seabirds and as many as 1,000 sea otters died in the shock wave. Technologically and politically, Cannikin succeeded brilliantly. Scientists recorded excellent data on the weapon’s performance and detected almost no radioactivity. The dramatic seismic effects were strictly local and no ocean-spanning tsunami formed. 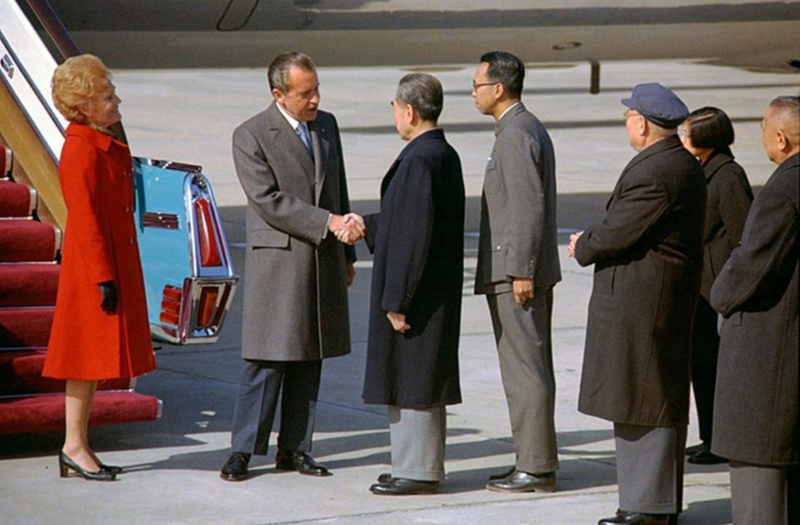 The test’s success may have bolstered Nixon’s negotiating stance with his foreign and domestic opponents. The following year, his journey to China won great acclaim and his administration negotiated its first strategic-arms limitation treaty with the Soviets. Neither move met with serious domestic headwinds. Opponents of the test succeeded, as well. Greenpeace would eventually challenge nuclear testing around the world, and arms-control activists helped defeat the deployment of the Spartan missile and its ABM system. Project Plowshare died a quiet death in the mid-1970s, perhaps hastened by the uproar over the Cannikin test. One last controversy rose up from the aftershocks of Cannikin. The success of the W-71 weapon design later inspired weaponeers to consider another nuclear-powered X-ray anti-missile idea. They concluded that the energy of a small nuclear bomb could turn special rods into X-ray lasers and zap Soviet missiles in space. Underground tests at the Nevada Test Site between 1978 and 1983 investigated the nuclear-pumped X-ray laser concept, apparently with some success. The concept so excited Pres. Ronald Reagan that he announced a massive new anti-ballistic-missile program. Fittingly, the former Hollywood actor’s idea got a Hollywood nickname—Star Wars. A curious aftershock of a big bang a long time ago on an island far, far away.